Cathy LeBoeuf-Schouten lives in Hudson, Quebec, Canada. I believe that one day our descendants will look back on our experiment with democracy and wonder how we could have been so naïve and unthinking. In much the same way that we dismiss the world view before Copernicus, people of the future will scratch their heads and marvel at how we could have been so blind to the obvious. It is important to understand that the papacy was the most powerful political force in XVI century Europe. The Pope maintained his control over the populace, essentially by interpreting the bible (it suited the religious intelligentsia just fine that most were illiterate) and applying the rules of conduct therein to people’s lives. Because he was thought to be divinely inspired, he was never mistaken in his interpretation of God’s word. He was lucky to have lived during the reign of a curious papal mind that did not immediately grasp the ramifications of his propositions. It was not until Galileo published his work, Dialogue Concerning the Two Chief World Systems, in 1632(3), that the religious bureaucracy started to wake up to the threat that a Copernican view of the universe would pose to their all encompassing power over the ignorant masses. Galileo’s explanation of planetary movement contradicted that era’s religious views and, given their importance in society, essentially challenged the entire social order at a time when Christendom was experiencing one of its most divisive periods, a time of religious wars and Counter-Reformation. Galileo Galilei, despite adherence to the strict instructions, issued by the Papal State on structuring his writing to respect Catholic doctrine, was called a heretic by Pope Urban VIII, a man who had formerly been his friend and mentor. "I see many parallels between the struggle for acceptance of a heliocentric solar system and the acceptance of a free-market, stateless society." Galileo was torn between the possibility of being excommunicated and the need to uphold the truth. 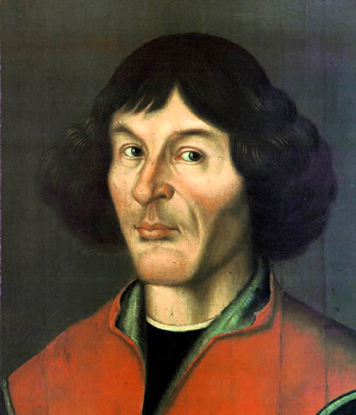 He succumbed to the pressures of his inquisitors and declared at his trial that his brash denial of the Aristotelian view of the world and thus support of Copernicus had been the result of “vain ambition, pure ignorance and inadvertence.”(4) He was hoping for a slap on the wrist and truly wished to avoid excommunication from his beloved Church. Despite this recantation, he was sentenced to house arrest for life. Galileo continued his research, while many followers studied and spread his discoveries all over the great universities of Europe. Within a few years, the Copernican shift was complete in the minds of scientists, yet the Papacy did not drop its geocentric view until 1835! I see many parallels between the struggle for acceptance of a heliocentric solar system and the acceptance of a free-market, stateless society. The cast of characters has changed somewhat: Galileo’s Papal State is today’s democratic state; Catholic doctrine has been replaced by statist, democratic doctrine; the geocentric view is now the leviathan central government; the religious intelligentsia have been replaced by high level bureaucrats; and the illiterates can now read but they are ignorant of economics. The scientific intellectuals, who furthered Copernicus’ work, are today the anti-intellectual intellectuals(5), striving to spread the notion of liberty. They continue to work and expose the evils of majority rule, often at the expense of advancement in their careers, subjecting themselves to ostracism, ridicule and sometimes, even being jailed for refusing to obey the laws of the state. Galileo’s premise was accepted as truth because the predictions that it made were ultimately visible. As his followers perfected the technology required to observe the phenomena he had described, they became evident and accessible to more and more people. It was then impossible for the (Papal) State to deny the reality. This is what I see happening with the freedom movement. Our technology is the Internet and the Mises Institute, the centre for development of free-market theory. The predictions that were made by Mises, Rothbard, Hazlitt and so many others are coming true and we, the ignorant masses of today, are finally being enlightened. * Footnote: Interestingly, Galileo developed an early version of Gresham’s law and a quantity theory of money which can be found here and here, respectively. 1. Kuhn, Thomas (1957), The Copernicus Revolution. 4. Hofstadter, Dan (2009), The Earth Moves, New York, N.Y., W.W. Norton and Co.
5. Hans Hermann Hoppe uses this expression in many of his lectures.